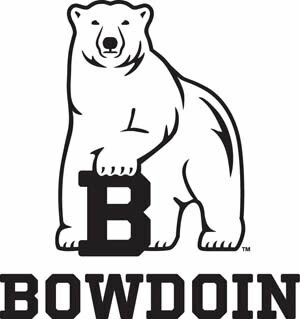 The Bowdoin College baseball team swept Thomas in a doubleheader, edging the Terriers 7-6 in the opener and cruising in game two, 12-0. The Polar Bears, who were playing their home opener, improve to 13-6 overall this season. Thomas drops to 7-14 this spring with the losses. Five Polar Bears had three or more hits in the doubleheader, led by four apiece from Matt Ruane and Joe Comizio. Bowdoin racked up 29 hits in the twinbill, including 13 for extra bases. Eric Sucy had three hits for Thomas in the two games. In Saturday's opener, Thomas took a 4-3 lead in the top of the sixth when Eric James Spence scored on a two-out error. Bowdoin responded with a four-run bottom of the sixth, tying the game when Kyle LeBlanc came home on a wild pitch. Jordan Edgett ripped an RBI triple to score Matt Ruane and give Bowdoin the lead. Brendan Garner and Joe Comizio followed with RBI hits later in the inning to give the hosts a 7-4 advantage heading into the final frame. Thomas rallied for two runs in the seventh against Ian Edwards, but Bowdoin's closer got out of the jam by getting a strikeout and a groundout to end the game. Comizio finished a home run shy of the cycle and had a pair of RBI for the Polar Bears. Ben Goodall had two hits and two RBI for the Terriers. 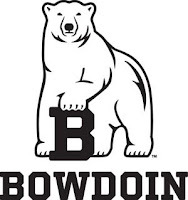 Jay Louglin earned the win in relief for Bowdoin, while Edwards took the save. Sean Twohig took the loss for Thomas after permitting four earned runs in a 1/3 of an inning. Bowdoin exploded for 17 hits and 12 runs in its game two win, providing more than enough support for starter Evan Farley, who tossed a complete game shutout, striking out 10 and allowing just two hits in an outstanding outing. The Polar Bears scored four times in the first and never looked back, as Brett Gorman had three hits, including two doubles and a triple while Adam Marquit had three hits, including two triples in the win. Thomas Beaudoin took the loss for Thomas, allowing seven earned runs in 3.2 innings. The Polar Bears will return to action next weekend when they host NESCAC rival Trinity on Friday and Saturday.